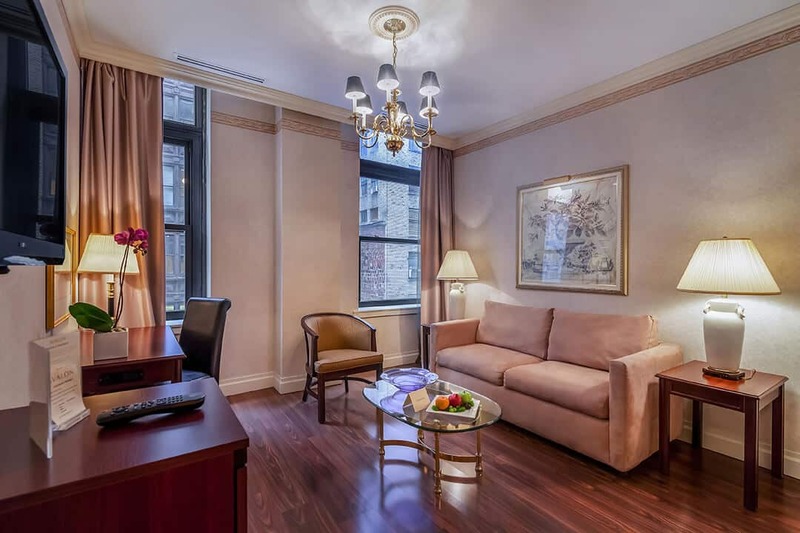 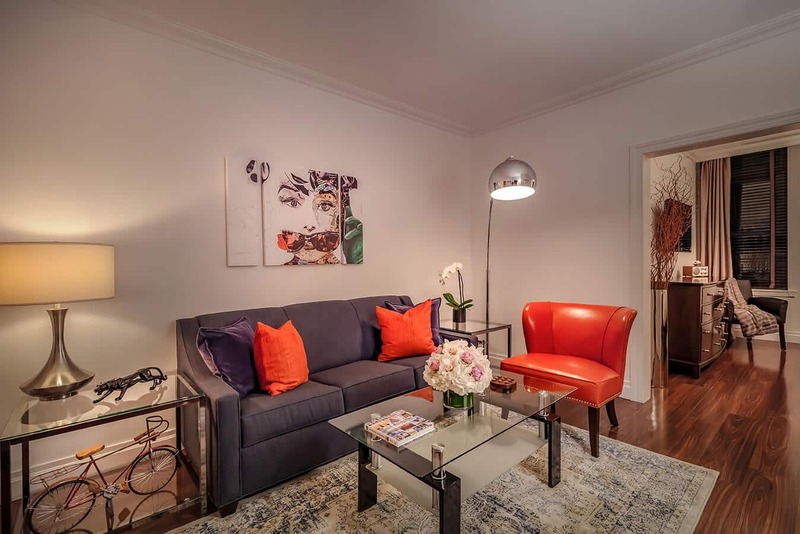 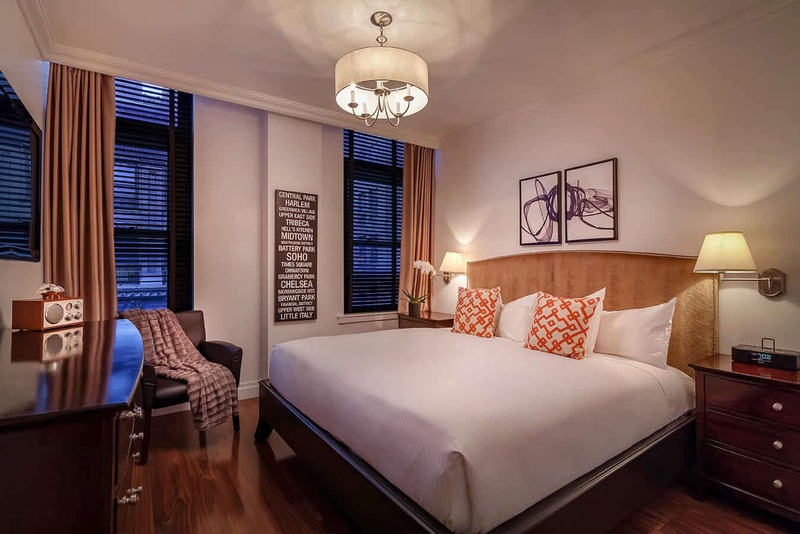 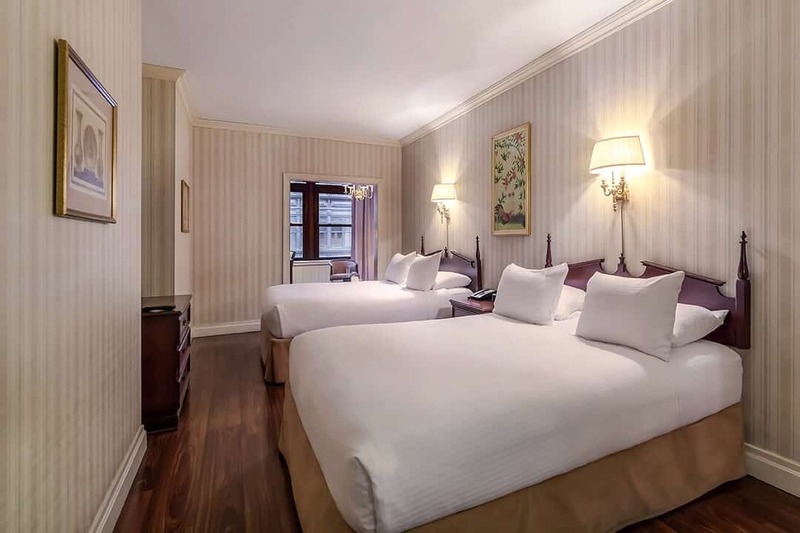 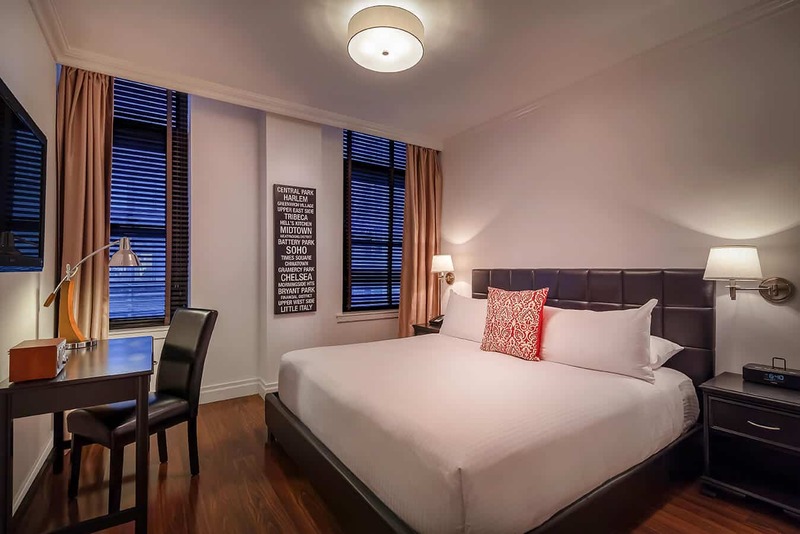 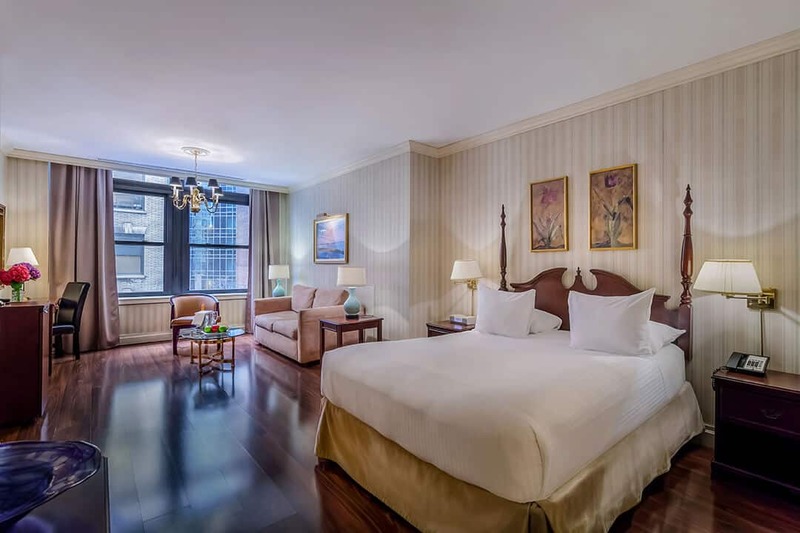 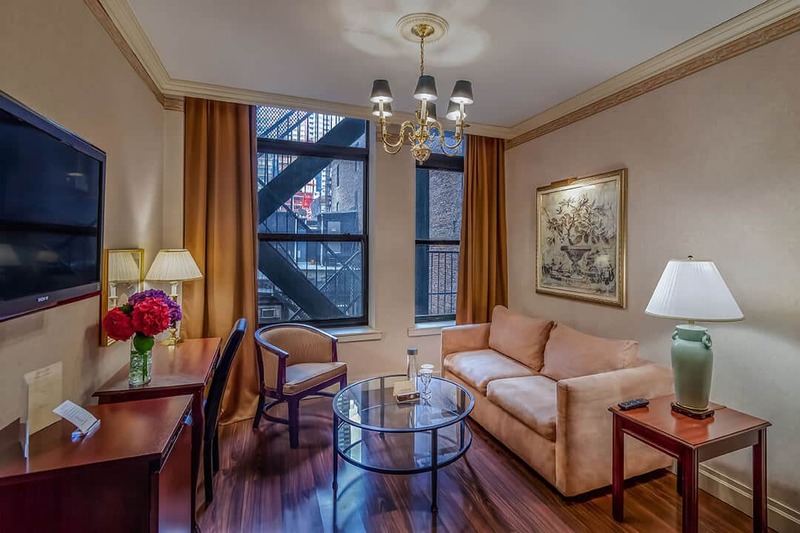 Our superb location and spacious suites in the heart of NYC provides exceptional value. 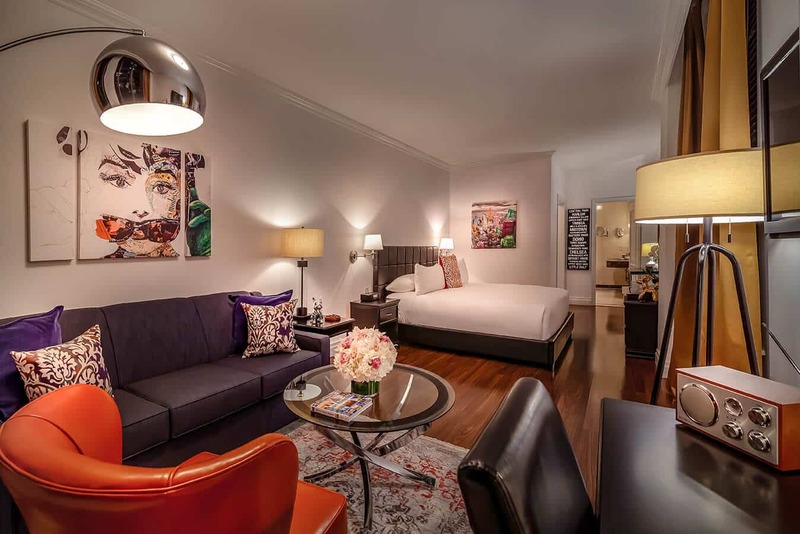 Explore all the suites options we have to offer you. 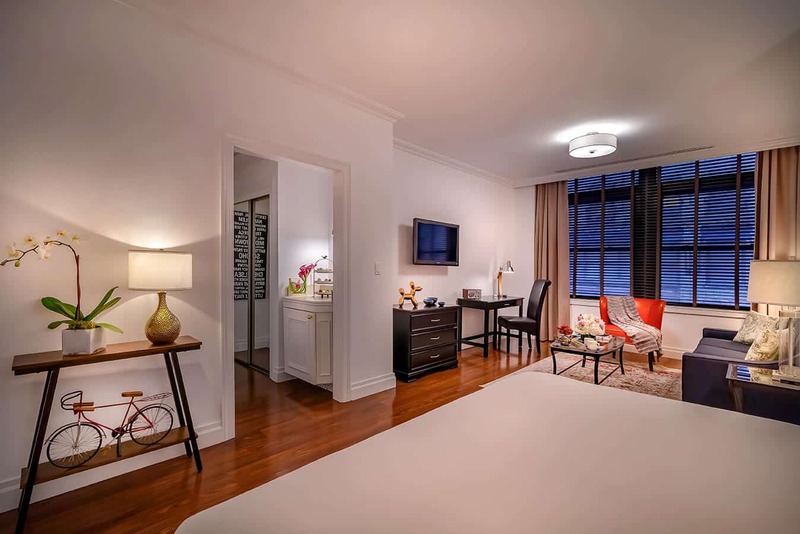 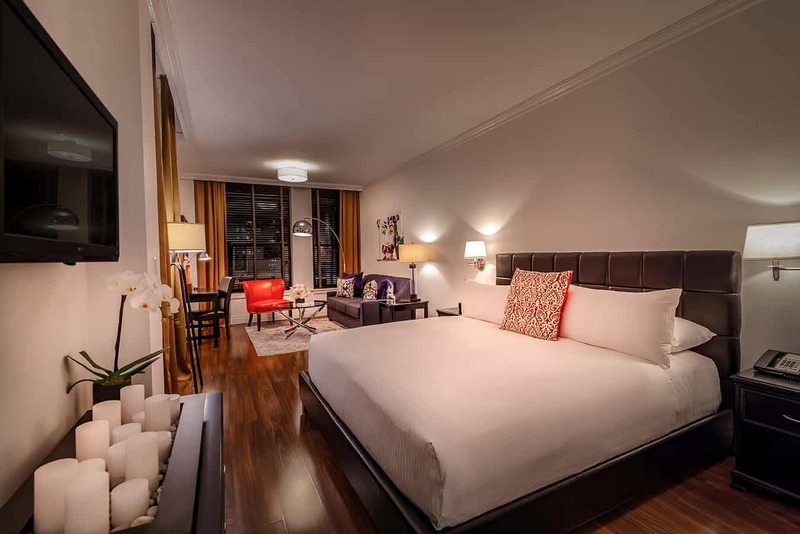 We have contemporary and classic New York style suites. 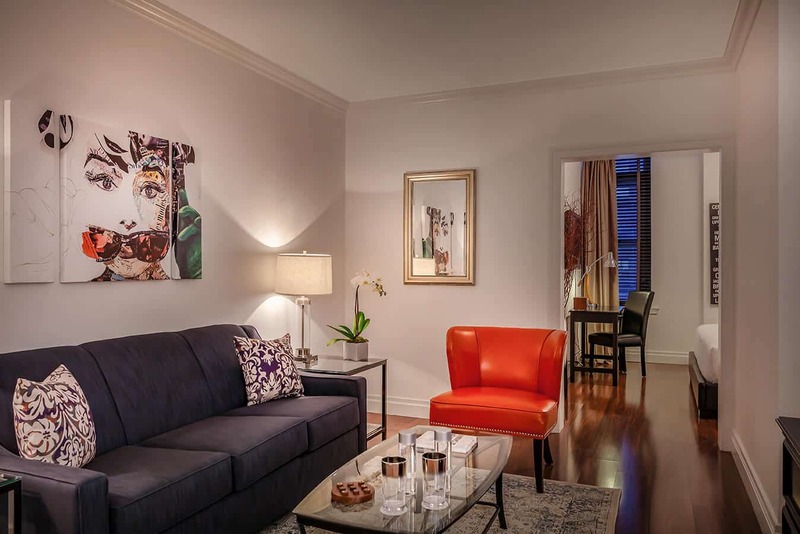 Feel free to choose the suite that fits your own personal style. 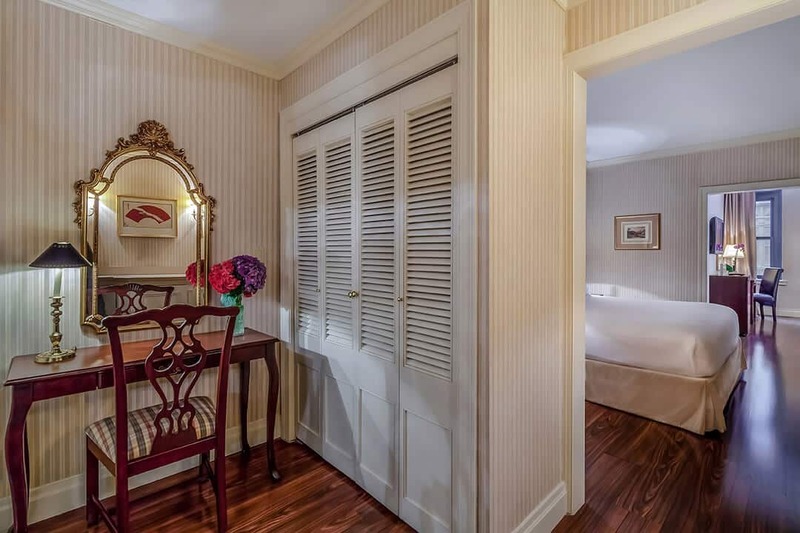 All of them have spacious accommodations and their own unique character. 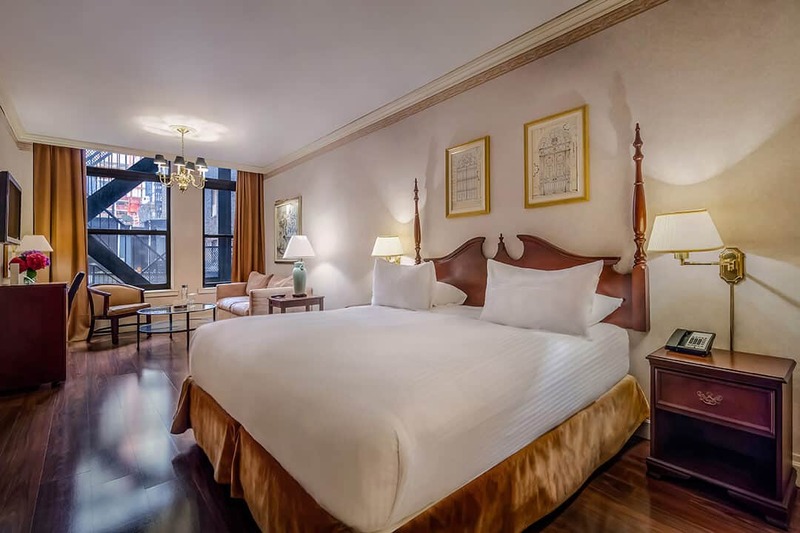 We offer the top luxury jacuzzi suites in Manhattan to add an extra touch of comfort for our guests. 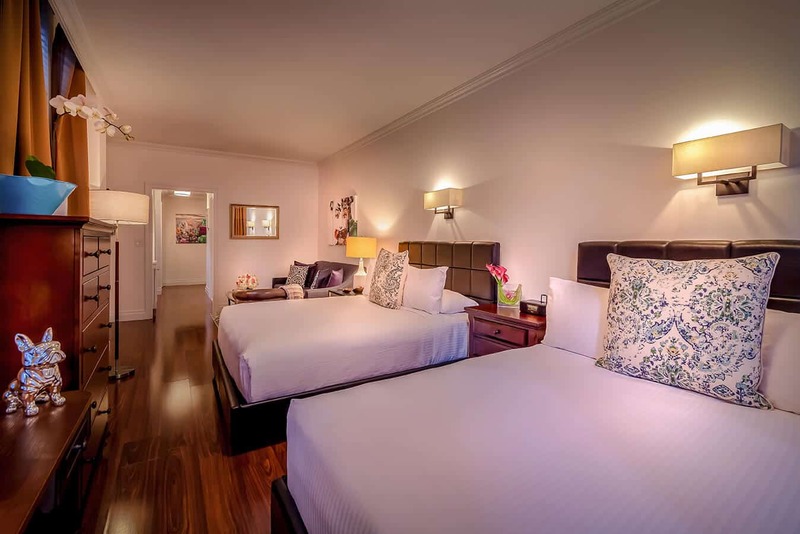 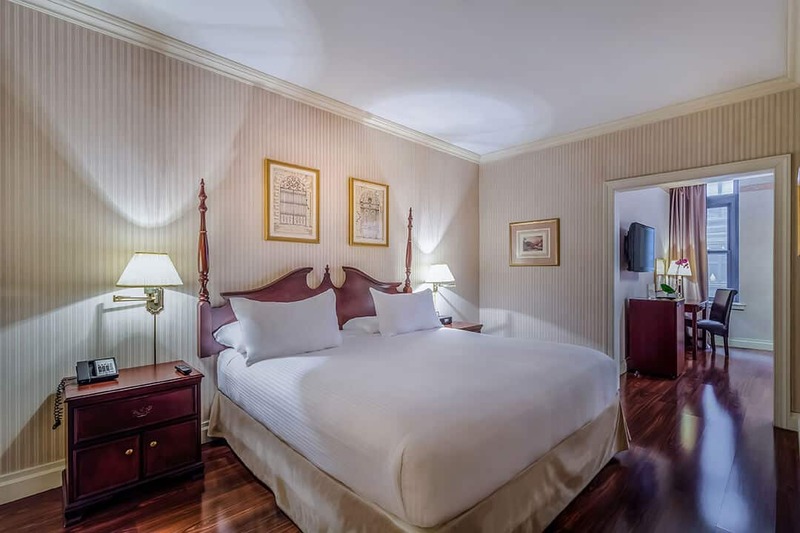 On the top four floors of The Avalon, our studio king suites (425 square feet/39.48 square meters), offers a king pillow top bed and a sitting area complete with a sofa bed. 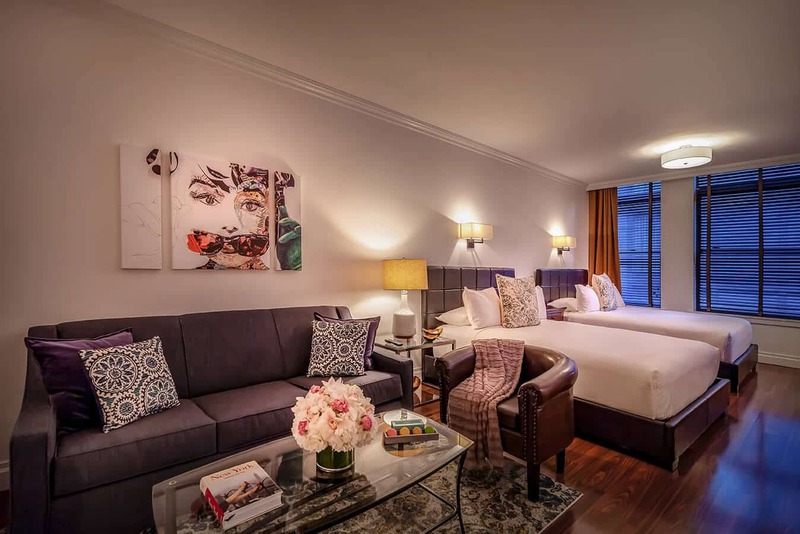 With an abundance of light, our corner suites (425 square feet/39.48 square meters) feature two queen pillow top beds and a comfortable sitting area complete with a sofa bed. 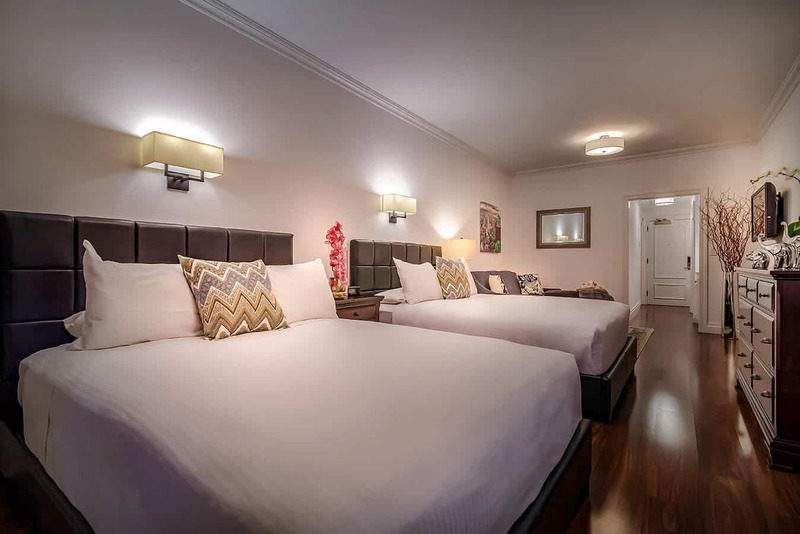 With two queen pillow top beds and a comfortable sitting area with a sofa bed, the Family Junior Suite (425 square feet/39.48 square meters) offers extra room to spread out. 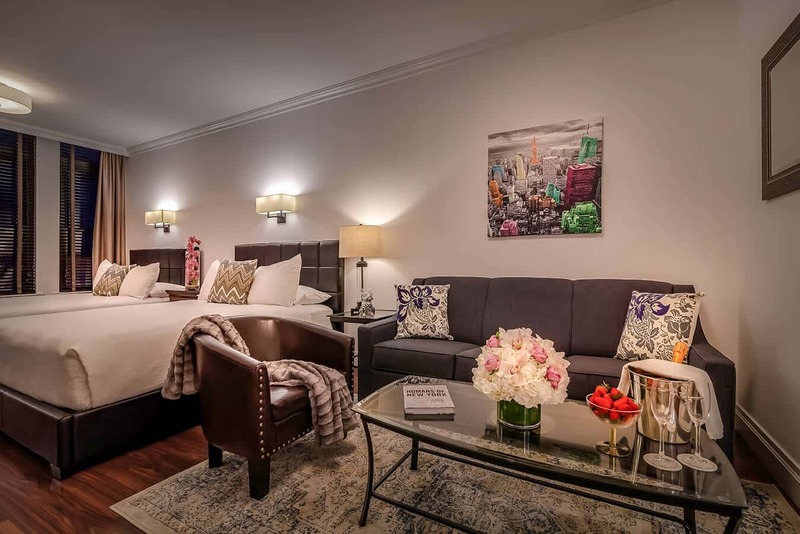 With an open floor concept, The Avalon NYC loft suite (450 square feet/41.81 square meters), features a king pillow top bed complete and a sitting area with a sofa bed. 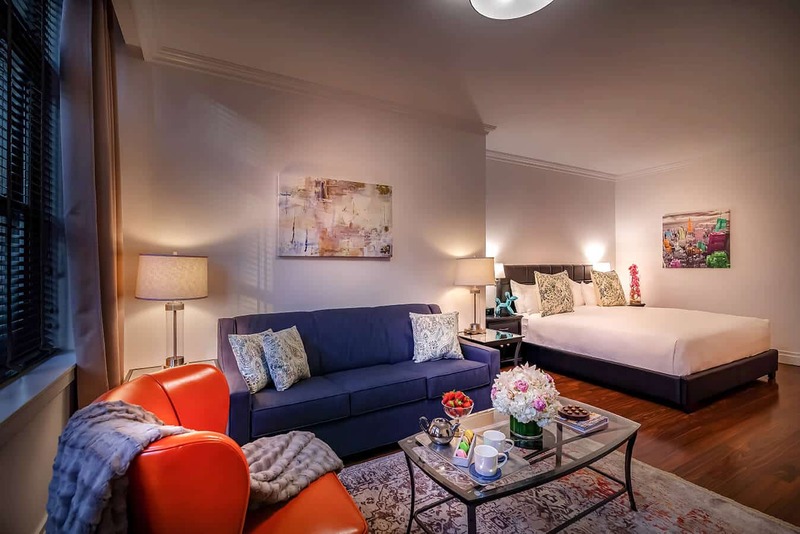 Our one bedroom lofts (475 square feet / 44.13 square meters) feature a king size pillow top bed, a welcoming foyer, and a separate living room complete with a sofa bed.